What are the different types of insulation available? When insulating your home you have many different options to choose from with each offering different benefits. 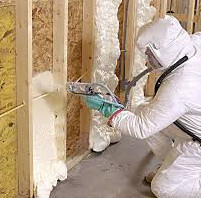 Every type of insulation has its pros and cons and will have varying environmental benefits that should be considered. 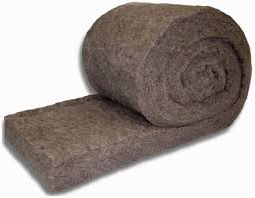 The most common type of insulation which is used in the home is blanket insulation which usually comes in rolls with a foil backing. The material normally used is glass wool which is made from recycled bottles which gives the material a good environmental rating. Glass wool insulation is one of the easiest materials to install and is the most cost effective. 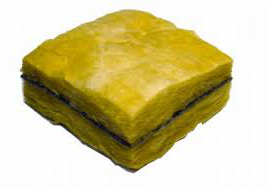 Rock mineral wool insulation is a more solid material than glass wool so is suitable for situations where the material may be compressed. 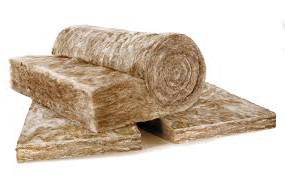 Mineral wool can be obtained in rolls and comes in varying thicknesses and widths. Rock mineral wool is a very effective fire safety measure as it is resilient to heat and fire. Sheet loft insulation comes in sheets and is usually used to insulate the sloping side of the roof inside a loft. This type of insulation can be more expensive and is energy intensive to manufacture but has a high insulation value. One of the more common forms of insulation is loose-fill and blown-in cavity wall insulation. Loose-fill takes the form of small particles that form a material that can conform to any space without disturbing structures. 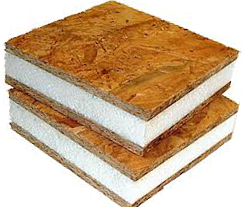 The most commonly used material for this type of insulation is cellulose, fibreglass and mineral rock wool which are all produced from recycled material. Loose-fill will typically be installed in wall cavities and attics/lofts and is installed via a pipe. Sprayed foam is also a common insulation and works in a similar way with liquid foam being poured or injected into place into wall cavities making it very versatile. Sprayed in foam is installed using a foaming agent and will expand and become solid as the mixture cures. 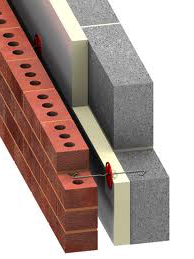 Slow curing foams are available which will flow around any obstructions inside the wall cavity before hardening. Structural insulated panels are prefabricated panels that can be used in wall, roofs and floors. They offer excellent insulation in comparison with traditional methods. 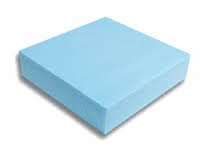 They typically consist of 4 to 8 inch thick panels that are made to fit in a factory then shipped to the site and can be made to various sizes. 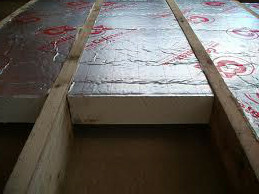 A structural insulated panel would ideally be used in a new build property. 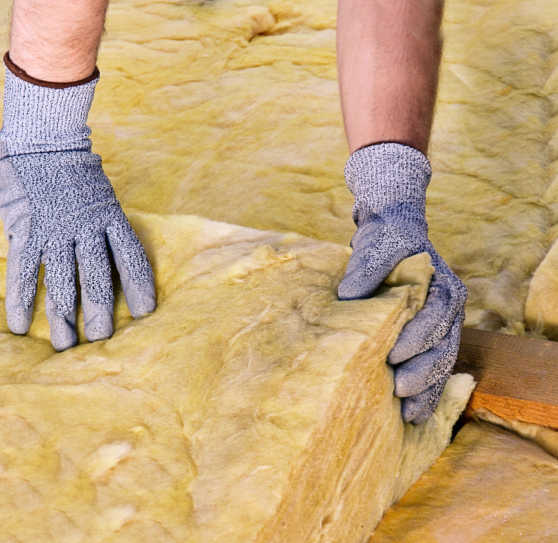 A new kind of insulation product is sheep’s wool which can be used for a variety of insulating jobs such as between roof beams, under floors and in solid walls. Sheep’s wool is an efficient insulator and offers an alternative to more synthetic types of insulation. 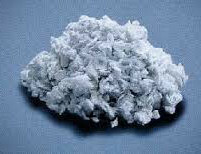 Wool insulation can last over fifty years and is also treated against fire and to be resistant against insects. Rigid foam is a type of insulation that is used where weight is in need of support like under a floor or in lofts. As well as having rigidity and durability, rigid foam also provides acoustic insulation by minimising the level of sound travelling through walls or raised floors, such as in flats etc. The National Insulation Association estimates that 33% of a property’s heat is lost through the walls. Insulating your walls against this heat loss can make your property much more energy efficient. Most modern homes in the UK are built with cavity walls, that is, an inner and an outer wall with a space between them, which are designed to stop rainwater reaching the inside of the property. These cavities also allow heat to escape, however. It is possible to prevent heat from escaping by filling the gap between these two layers. Cavity wall insulation is installed by drilling a small hole (around the size of a bottle cap) in the property’s outer wall and using a pump to fill the gaps with a polyurethane insulating foam. Though installing this is not a DIY job and must normally be done by professionals, it is quick to do and relatively inexpensive. It is also possible to install solid wall insulation, which can be fitted either internally or externally, with decorative coatings. This method of insulating walls is significantly more expensive and disruptive than cavity insulation, as it can sometimes require substantial building and decorating work. Read more in our Blog: Insulate or not to insulate that is the question.